This dress was $6 but it is a beautiful drappy fabric that is high for thriftying for me but I loved it so I splurged! 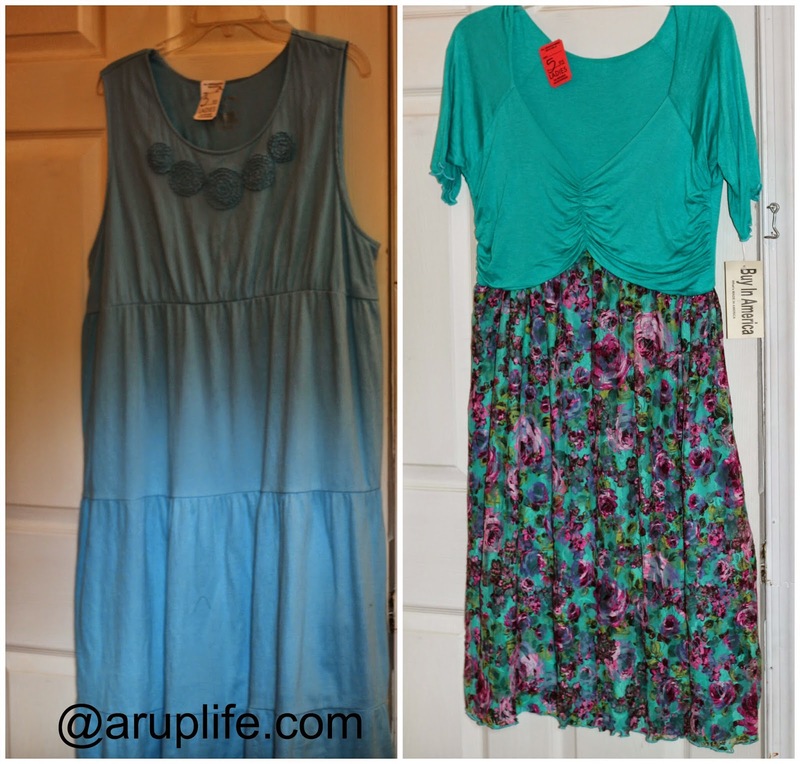 The dress on the left was long to the floor but hard to take a picture of that. Both of these were 1/2 price making them about $3 each. Unfortunetly the one on the right didn't fit but I have someone in mind to pass that too. That is one of the risks you take when you can't try things on. Two shirts and a vest for my little guy. $3 for all. This was from a yardsale. The shirts are Chaps and the vest is Carters and matches the top shirt beautifully! 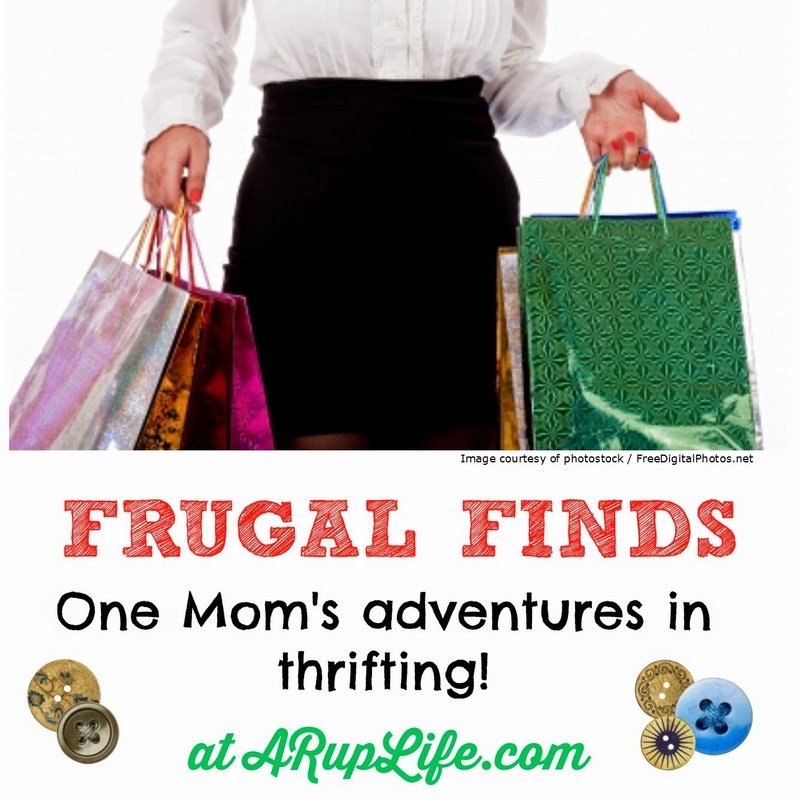 Hope you enjoy my thrifty adventures!